Shahroo Izadi, author of The Kindness Method, tells us how we can all start being kinder to ourselves. Shahroo Izadi is a Behavioural Change Specialist and the author of The Kindness Method. In her book, she shares her revolutionary message that only through being kind to ourselves can we make positive changes that last, from improvements in our emotional wellbeing to kicking bad habits. Here, she shares five ways to be kinder to yourself today. Just for today, decide to respond to any self-doubting or critical thoughts with compassion, encouragement and the most motivational speech you can possibly imagine. Even if you (god forbid) do something like drop your phone and smash the screen. Try to be more fair in what you decide it means, and speak to yourself with a greater sense of perspective. If someone else had done the same thing, perhaps you’d respond by saying something like “How annoying! I’m so sorry mate, that’s rubbish. Let's find ways to get it sorted ASAP. It’s not the end of the world, don’t worry, we’ve all been there.” Yet when it comes to the conversations we have with ourselves, often the script is more like “Typical. Of course this would happen to me. I’m clumsy and thoughtless and I always have been. Now I’ll have to pay to get this sorted, with money I don’t have, because I’m so irresponsible and rubbish at budgeting.” The kinder approach helps you ‘cut to the end’, take positive action and start feeling better about the incident as soon as possible. Create a rapid gratitude list in the notes on your phone (or on the computer), that you add to as and when you notice positive things happen over the course of the day. The list can include anything from getting the last croissant at Pret, to receiving positive feedback at work, to hearing some good news, to getting a seat on your commute home. This practice can help us tune in to all the little ‘wins’ we so often forget, especially in those moments when life challenges us, and our minds temporarily allow us to believe that our lives aren't as filled with wins as they really are. This can be anything from deciding to eat two Maltesers and giving away the rest of the pack, to booking one ticket to the theatre and going by yourself, to taking the stairs at the tube station or having just one glass of wine at the pub after work then going home. Start finding opportunities to purposely challenge the assumptions you have about yourself and what you’re capable of. Also, notice whether any of the assumptions have become self-fulfilling prophecies. A great example of this is when we say “I’m just the kind of person who starts things but doesn’t finish them.” The only way to stop assuming you’re ‘just that kind of person’ is to collect as many examples as possible of you finishing the things you started. Consider yourself on a constant mission to prove that you can always redefine yourself and change long-held beliefs about what you are and are not capable of. In this episode of Book Break, Emma talks to Shahroo about the principles of her book and puts The Kindness Method into practice as she tries to become less reliant on her mobile phone. Shahroo Izadi has a revolutionary message: treating yourself kindly is the only way to make changes that last. 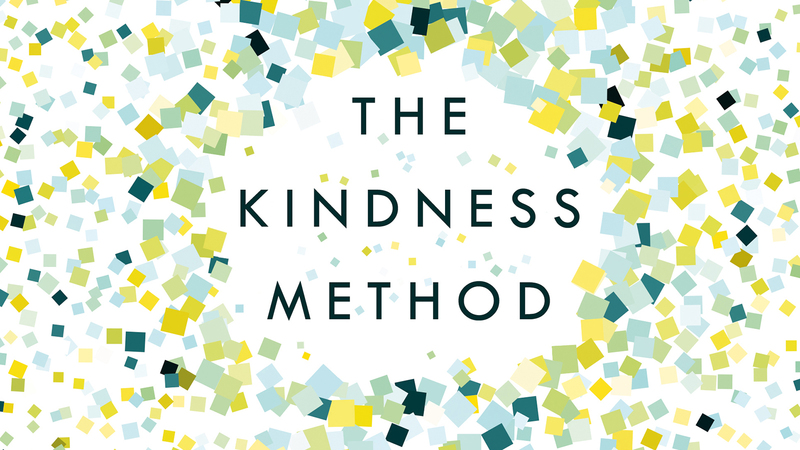 Whether it’s weight loss, cutting down on drinking, improving relationships or ditching a dull job for one that you love, The Kindness Method will help you change any unwanted habit, for good.